The global consensus in academic, specialist and public realms is that North Korea is a problem: its nuclear ambitions pose a threat to international security, its levels of poverty indicate a humanitarian crisis and its political repression signals a failed state. 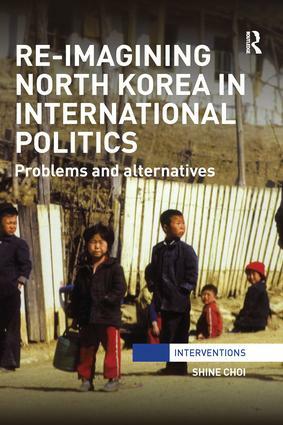 This book examines the cultural dimensions of the international problem of North Korea through contemporary South Korean and Western popular imagination’s engagement with North Korea. Building on works by feminist-postcolonial thinkers, in particular Trinh Minh-ha, Rey Chow and Gayatri Spivak, it examines novels, films, photography and memoirs for how they engage with issues of security, human rights, humanitarianism and political agency from an intercultural perspective. By doing so the author challenges the key assumptions that underpin the prevailing realist and liberal approaches to North Korea. This research attends not only to alternative framings, narratives and images of North Korea but also to alternative modes of knowing, loving and responding and will be of interest to students of critical international relations, Korean studies, cultural studies and Asian studies. I love you, do you love me?